Looking for somewhere special to join in the celebrations of the ‘Race That’s Stops the Nation’? Then look no further. 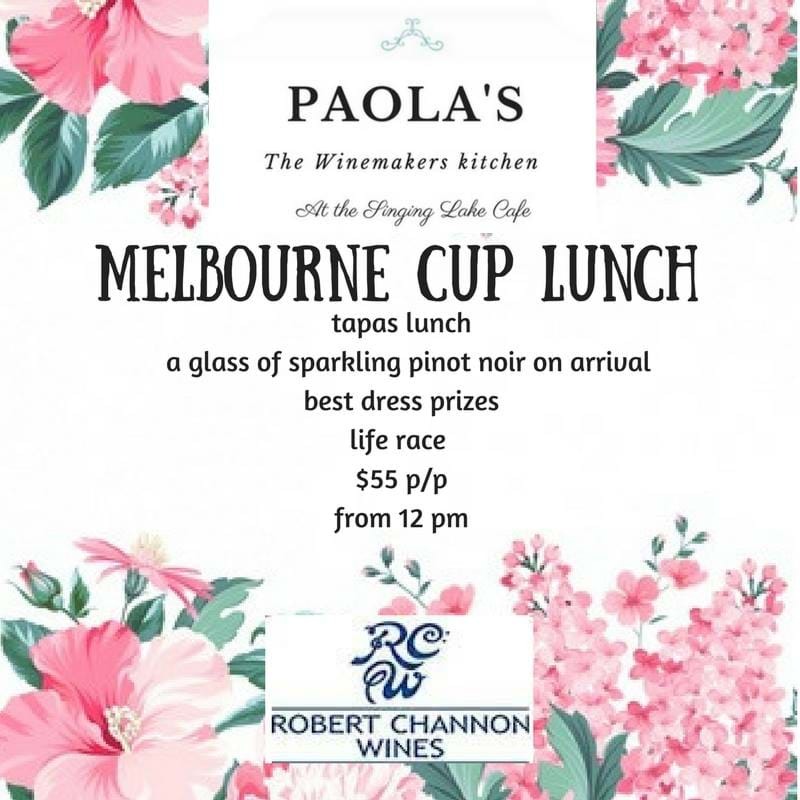 The Singing Lake Café is hosting a Melbourne Cup Day Lunch and it’s the place to be. Watch the race live with prizes for the best dressed. Price includes a glass of sparkling Pinot Noir on arrival.